Hair stylist Vickie Carver gets ready to cut the hair of Gypsy Mermaid Day Spa & Boutique co-owner Jill Smith. Sometimes we all need to get away to recharge the body, mind and spirit. And South Shore residents don’t have to go far to do just that. 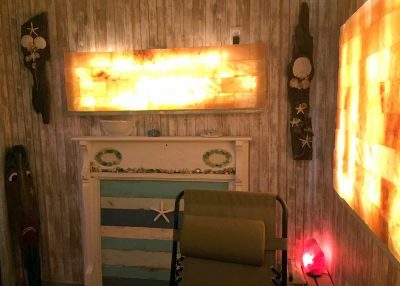 The newly reopened Gypsy Mermaid Day Spa & Boutique in Apollo Beach specializes in giving folks the chance to recharge, whether it’s for an hour or two or the entire day. Dallas and Jill Smith, of Ruskin, originally opened the day spa next door to the South Shore Shabby Shack, which they owned at the time, about eight months ago. A few months ago, the couple moved Gypsy Day Spa & Boutique from Flamingo Drive to 210 Apollo Beach Blvd. to add more space, expand services and increase the business’s visibility. Dallas did the entire buildout, and Jill decorated the place to fill it with warmth and charm. “We wanted it to feel like a beach cottage, so our clients could relax, renew themselves and revitalize,” Jill said. 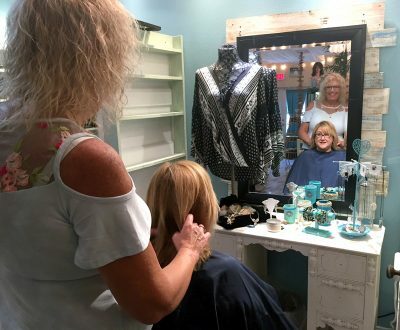 After a June 1 soft opening, the Smiths celebrated the grand opening of Gypsy Mermaid’s new location with members of the South Shore Chamber of Commerce July 26. “We’re so excited to be here offering a more holistic approach to health and beauty,” Jill said. Gypsy Day Spa & Boutique carries Pavonia skincare products made with natural, cruelty-free formulas and organic ingredients. It features boutique clothing and jewelry, complimentary coffee and wine, towel warmers in every room and aromatherapy throughout. The day spa offers an array of individual services and spa packages like the Gypsy Girl, Island Dream Escape Couples Cove and Majestic Merman that include combinations of facials, peels, manicures, pedicures, reflexology, massage, Halotherapy salt room treatments, waxing and more. There’s even a package for first-time spa-goers, teens and kids. The halotherapy room at Gypsy Mermaid Day Spa & Boutique is the only salt room in South Shore. It offers many therapeutic benefits, especially for folks with respiratory issues like asthma and allergies. Packages range in price from $150 to $275. Studies indicate that halotherapy helps expand lung capacity, increases oxygen intake and benefits the skin. It has been shown to have calming and detoxifying effects, which can help folks sleep better, have more energy, reduce stress and achieve an overall sense of well-being. Massage therapies provided by Nikki Ibanez, LMT include stone, lomi lomi, Swedish, deep tissue, neuromuscular, therapeutic stretching and cupping. Enhancements can include a sea salt scrub, papaya-pineapple peel and 15 or 20 minutes of reflexology. 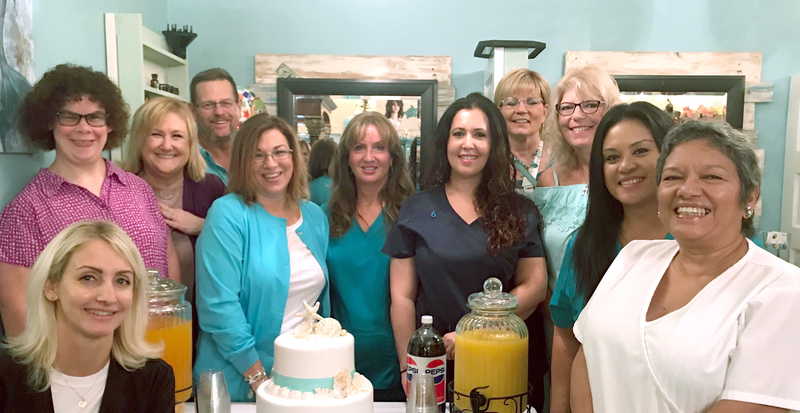 The day spa’s full-service hair salon is staffed by Vickie Tawney, Bree Carver and Diana Gayer, all of whom were formerly with Victoria’s 5th Avenue Salon. 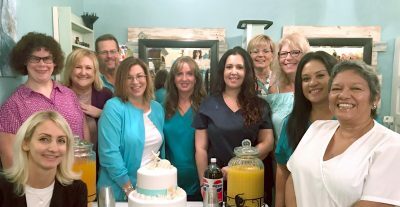 Skincare services are provided by estheticians Elizabeth Colson and Bethea Mullen, who have a combined experience of 35 years. And nail technician Yvonne Ramsel, who keeps up with all the latest trends, has 30. Amanda Gary, of Wimauma, agrees. 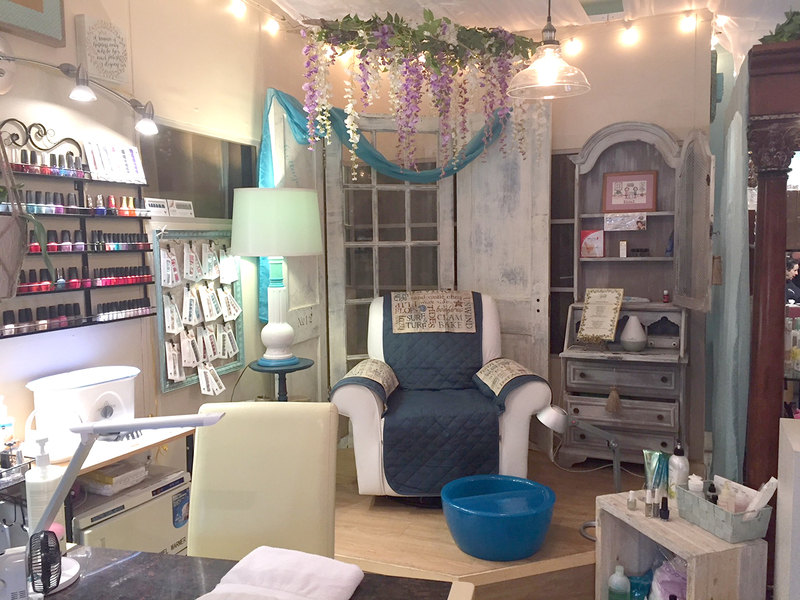 Imagine yourself getting a manicure, pedicure or paraffin hand or foot treatment in this relaxing area of Gypsy Mermaid Day Spa & Boutique. She purchased a surprise 13th-birthday spa package for her daughter Lexi and two of her friends. The girls wore lux spa robes as they received manicures, pedicures and facials and got gift bags that included a mermaid-tail necklace, hair band and colorful flip flops. Gypsy Mermaid Day Spa & Boutique is open 10 a.m. to 5 p.m. Tuesday, Wednesday and Friday; 10 a.m. to 7 p.m. Thursday; and 9 a.m. to 2 p.m. Saturday. For an appointment or more information, visit its Facebook page or call 813-296-1788. Gypsy Mermaid Day Spa & Boutique sells a wide array of boutique jewelry and clothing, as well as Pavonia skincare products. Esthetician and Pavonia skincare expert Elizabeth Colson gives client Aubrey Pharo a facial at Gypsy Mermaid Day Spa & Boutique. 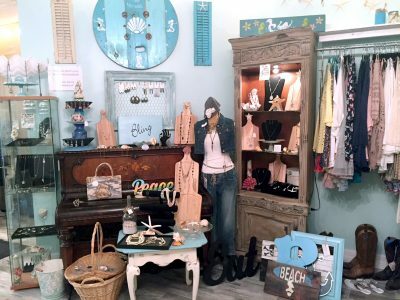 Gypsy Mermaid Day Spa & Boutique, 210 Apollo Beach Blvd., Apollo Beach, is open 10 a.m. to 5 p.m. Tuesday, Wednesday and Friday, 10 a.m. to 7 p.m. Thursday and 9 a.m. to 2 p.m. Saturday. 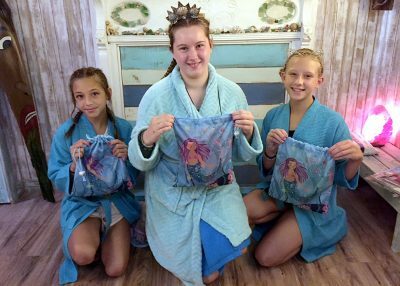 These three friends recently were treated to a special spa package at Gypsy Mermaid Day Spa & Boutique to celebrate one of their birthdays. From left are Aubrey Pharo, 12; birthday girl Lexi Gary, 13; and Delaney Pharo, 13. 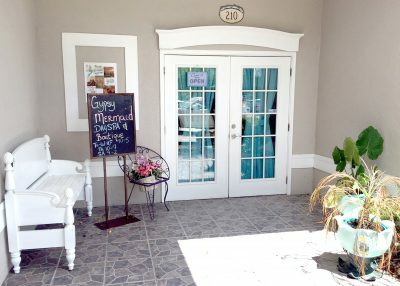 The professional staff at Gypsy Mermaid Day Spa & Boutique are ready to pamper you with a wide array of skin, nail, hair and massage services. For an appointment, call 813-296-1788.